It’s almost cliche to describe modular sensors, motors and other components as the “building blocks” of the Internet of Things. But when those things are embedded into little plastic blocks that are literally used for building things, what else can we say? Brixo isn’t the first Lego-compatible IoT prototyping kit we’ve seen, but it is the first to make all of its modules the exact same size and shape as normal Lego bricks. Starting with a large power block (which holds a standard 9V battery or can be powered directly via micro-USB), Brixo lets you build Bluetooth-connected circuits that turn your Lego creations into smart, connected, interactive gadgets. 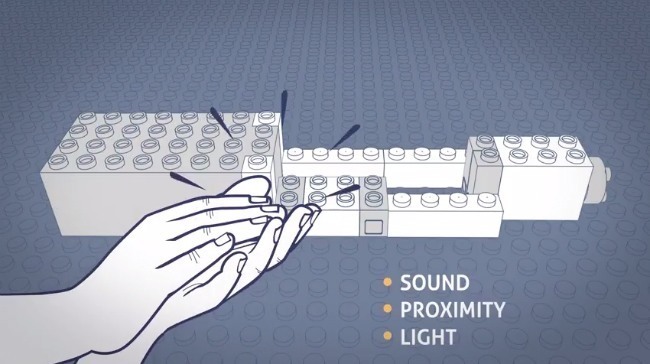 In a clever design twist, Brixo remains wireless by letting the blocks themselves form the circuit. Chrome-plated “connector” blocks carry electrical current from the battery to various “trigger” and “action” blocks that join the very structure of whatever you’re building. Triggers include sound, light and proximity sensors, as well as a Bluetooth connection to a mobile app for direct control. 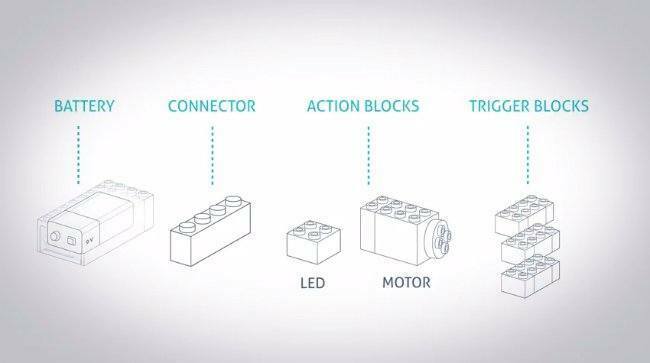 Action blocks are currently limited to motors and LEDs — though this is just the start of what could eventually be a much larger collection of modules to choose from. The kits can also trigger automation rules via IFTTT, so a Brixo creation could control other smart devices. For instance, the team suggests you might attach a Brixo block to your keychain and use the proximity sensor to build a keyhook that activates your Nest thermostat and turns on your smart home gadgets when you hang up your keys. Brixo has gathered more than 5,500 backers for its Kickstarter campaign, which closes on May 11. That leaves just under 48 hours to get in on the first production run, which is expected to ship in October.